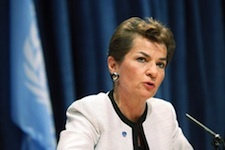 UNFCCC executive secretary Christiana Figueres said yesterday that the generally accepted 2 degree Celsius target for limiting global warming is not enough. “Two degrees is not enough – we should be thinking of 1.5C. 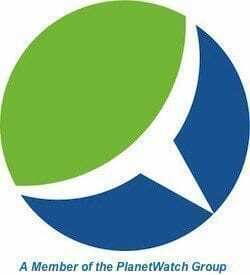 If we are not headed to 1.5C we are in big, big trouble,” Figueres said at the International Trading Association’s annual Carbon Expo conference. The statement comes on the heels of recent estimates from the International Energy Agency’s announcement that carbon emissions spiked to historic levels in 2010, casting even the 2 degree C target into serious doubt. Figueres’ call for a tougher target comes as a surprise to some officials, fearing such a move will threaten the already fragile state of negotiations since the controversial end to the COP15 climate conference in Copenhagen in 2009. The conference ended with the Copenhagen Accord, generally considered a disappointment and leaving much to be accomplished for the international community in grappling with emissions targets among nations. Negotiations at COP15 came to a standstill on several occasions throughout the two-week conference when the Alliance of Small Island Nations forced debate on the target, insisting that a 1.5 degree C target was essential to prevent the disappearance of their island nations in the face of rising seas. The experience at COP15 widened the rift between developed and developing nations. “I’m not saying this is going to be easy,” Figueres said. “The argument I am making is not about feasibility but an argument of social justice. We can’t have as our goal something that we already know does not guarantee the survival of low-lying states and sub-Saharan Africa.